You are here: Home / Product Reviews / Babies & Kids / More Time Moms: Get Organized, Improve Quality of Life and Spend More Time with Your Kids! Yeah, I totally want to be part of that club, don’t you? Well, as Moms and Dads, being a parent or caregiver is surely a daunting task. After meal planning, lunch making, chauffeuring and scheduling around extra-curricular activities, you’ll find that sometimes you can get totally in over your head. When I had the chance to review a couple items from More Time Moms, I was super excited to see if I could get not only my home life kicked back into gear but, my professional life as well. More Time Moms Publishing Inc. was created to develop and market time-management tools to improve the quality of family life and to help parents spend more time with their children. Responding to the chaos of family life has been the true inspiration for the More Time Moms’ titles. Feedback from our customers and tester-moms has enabled us to continuously refine and build superior products. More Time Moms continues to develop tools to make Moms’ lives easier and is a rapidly growing business, with a belief in the strength of community effort. 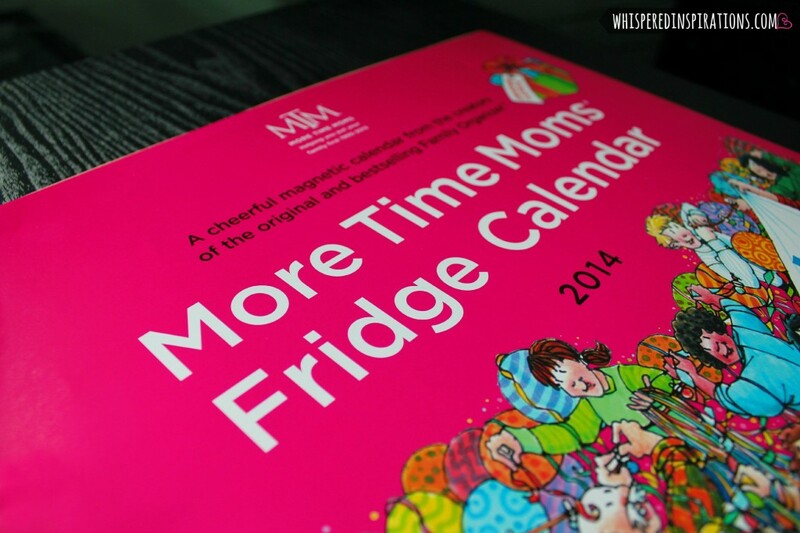 More Time Moms supports charitable projects for children in need in the developing world. More Time Moms Fridge Calendar. 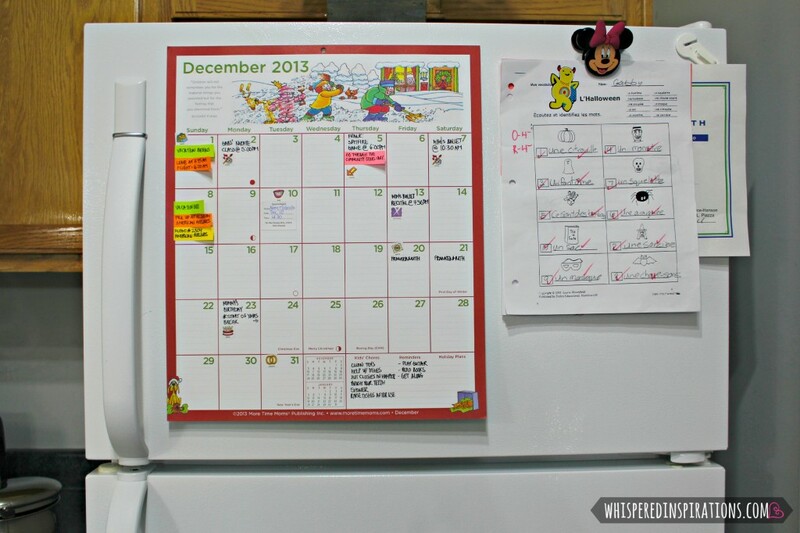 I had the chance to review this amazing fridge calendar that has totally helped me organized everything that I need in my family life and work life. I’ve used it the last month or so and just began our December month. I find that it’s so much easier to take an hour a month to sit down and write down our month’s plans and commitments. I found that I would forget a lot of things like appointments because I would lose the reminder card or just simply didn’t write it down. Since we have a smaller family (a family of 4) and with basically only 3 of us communicating–having a calendar on the fridge is the perfect way to communicate. 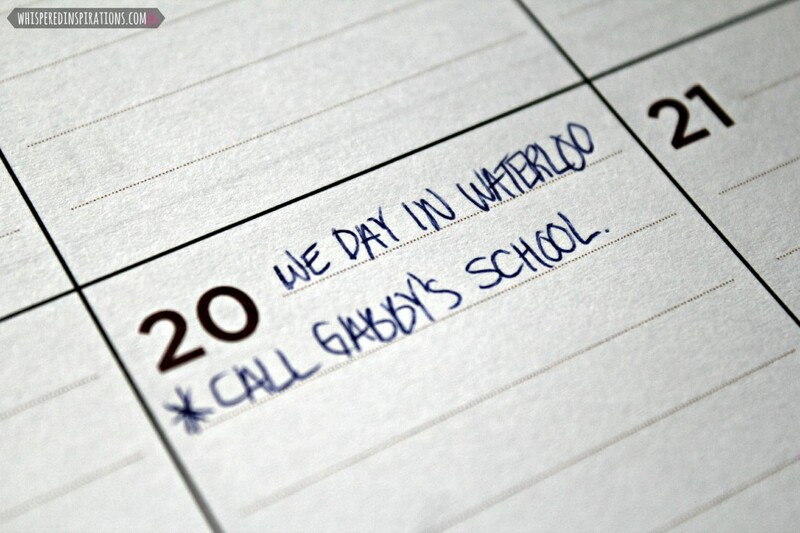 It’s a central location where we can write down events and appointments as they come or in advance. What we loved the most is the stickers that you can add to your entries, it livens up your calendar and gives it a much more personal touch. I also found that I can easily stick post-it’s onto the calendar to move events that are flexible and could be moved around. Plan It, Write It, Stick To It. So far, we have written down extra-curriculars, Dentist appointments, family movie nights, special events and recitals and we are just getting started for the month of December. The last month or so, we’ve been able to stick to all of our responsibilities because they have been neatly scheduled on the fridge. The magnets stick extremely well, the calendar has not slipped or budged since I put it up. I also love that the animation inside always has a personal touch and great reminders for parents with special quotes and pictures that are very appropriate. 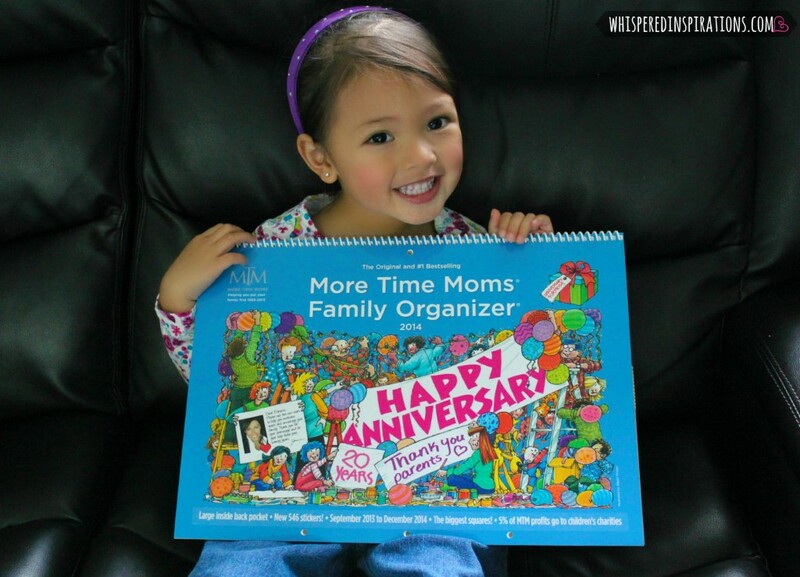 The More Time Moms Family Organizer is the ultimate tool to get you there. One of the things that I love the most is that it starts in September, since this is when the most organization and planning is needed. 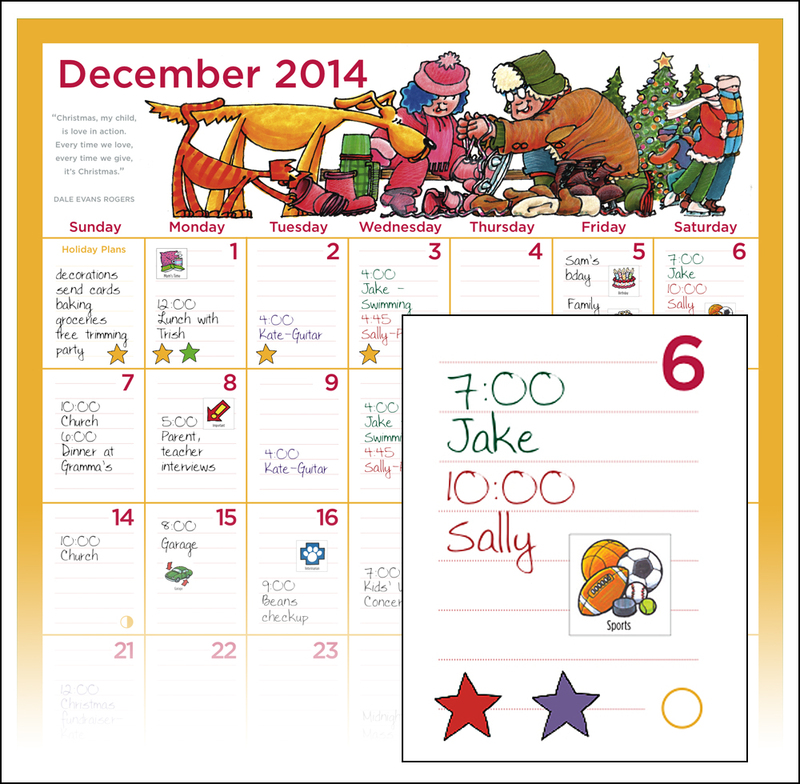 This family planner has the biggest squares, 2.1″x 3.5″, to give you plenty of room to write, the best stickers to remind you of important events, and a pocket for bills and loose paperwork. 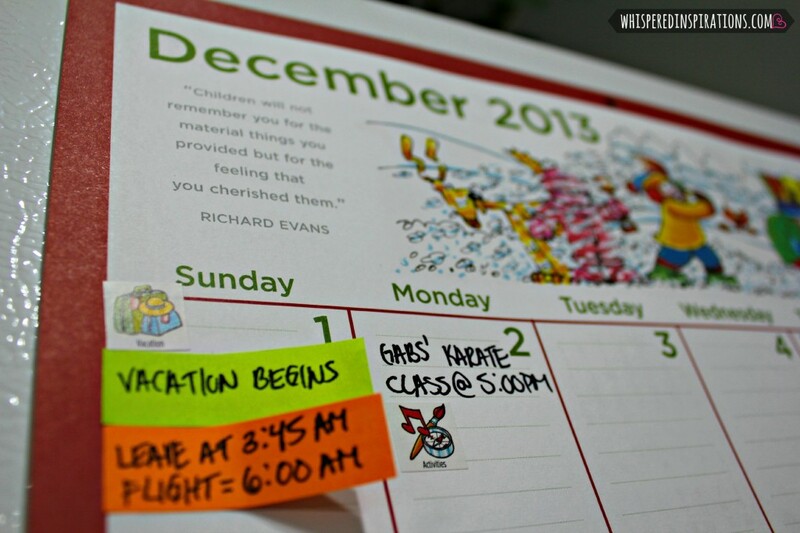 I especially love the stickers, it takes away the lull of a simple calendar and brings it to life. The squares definitely give you plenty of room to write what you need to. The top is where you can write accomplishments, achievements and notes. I am excited to get my December month scheduled out and this month is definitely going to be very busy. For someone who calls herself messily-organized, this calendar has allowed me to take just a little bit of time out of my schedule to organize my home life and spend less time shuffling around in stress when I’m not organized. Luckily, I have a very organized husband and he helps me out with the calendar as well. Let’s put it this way, things have definitely looked up in our home! Lots of room to track important things, time with your kids,etc. Be a More Time Parent! 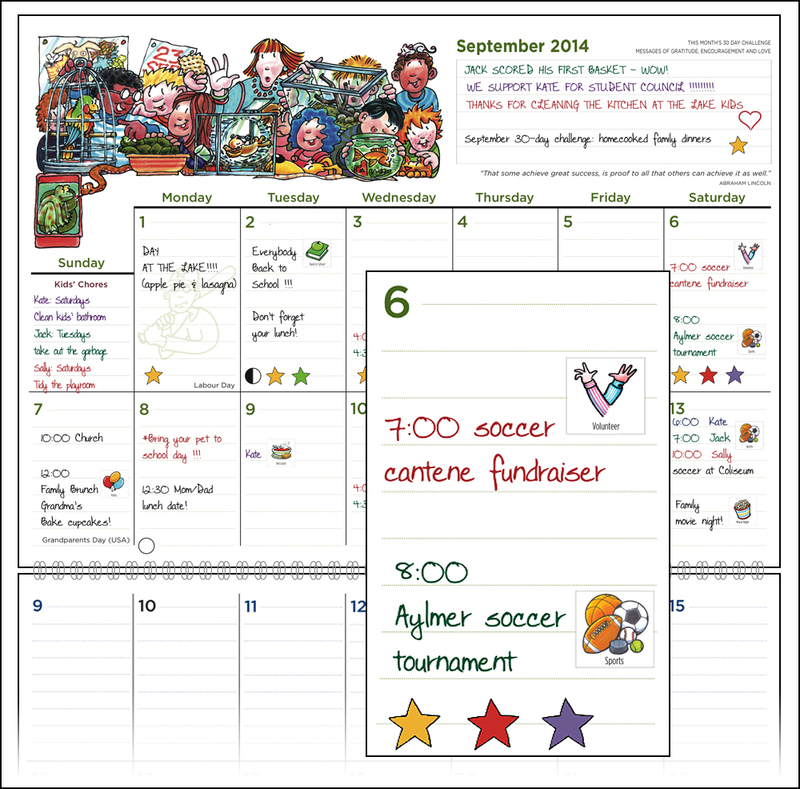 The Family Organizer retails for $15.99 and the Fridge Calendar retails for $16.99. To me, that is incredibly affordable. I’ve purchased other planners for the same price or more and since they all lacked in space and a template, they didn’t even get used. I love how More Time Moms lays it all out for you, it inspires you to get organized. One lucky Whispered Inspirations reader will win a More Time Moms Busy Mom Organizing Package! This contest is open to US/CAN and starts on December 2nd, 2013 and ends on December 17th, 2013. I am happy to say that now that I’ve tried these two Busy Mom Organizing tools, I’m hooked. With all the travelling that I have been doing since September, the calendars have truly been a Godsend to keep my life on track and organized. 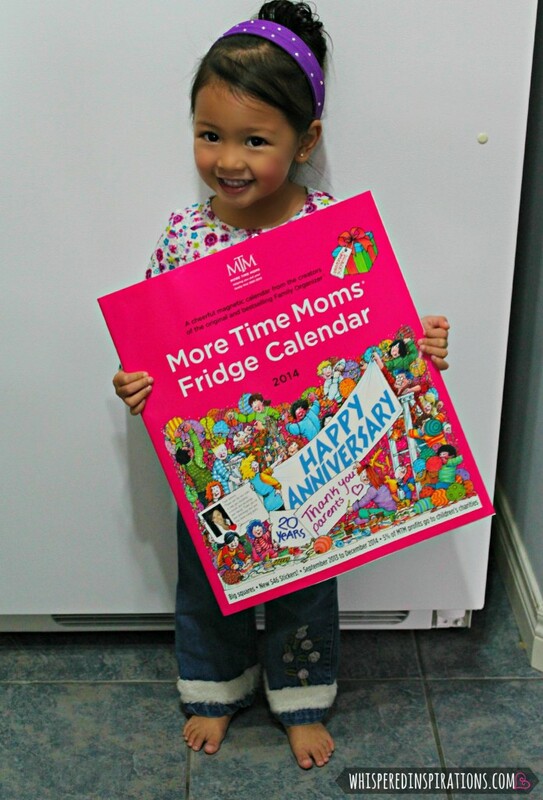 You can connect with More Time Moms on Facebook, follow @MoreTimeMoms on Twitter for updates and get your own calendars or more information on their site, More Time Moms. How do you keep your home life organized so that you can enjoy more family time? Let me know, til then–cheers m’dere! The Mom's Agenda look great. I love agendas even though I have most things on my phone, I like to write it down too. I love the Family Organizer! It is just the right size for all our activities! I'd love the More Time Moms Family Meals Cookbook. They both look awesome and I have always wanted something from More Time Moms but I would have to say the family organizer is what I am looking forward to most. I'd also like to try the Student Organizer. I would love to try the More Times Mom Family Meals Cookbook. The Mom’s To Do List look so pretty and practical! I'd love the student organizer! I would love to try a student organizer! I already use the Fridge Magnet and have used it for years. I would love to try the agenda too! I would like to try the Family Meals Cookbook. The family meals cookbook would be also neat! I love the fridge list. 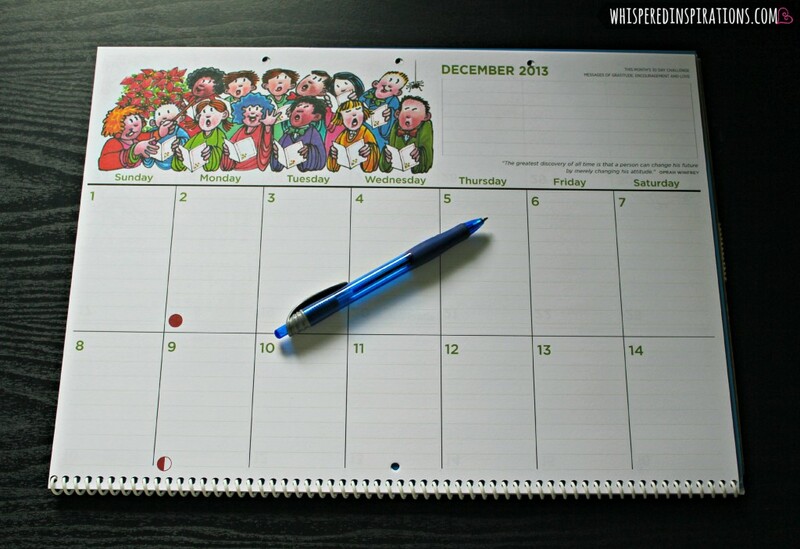 I love these calendars i use one every year, lots of room and fun stickers to keep life organized. 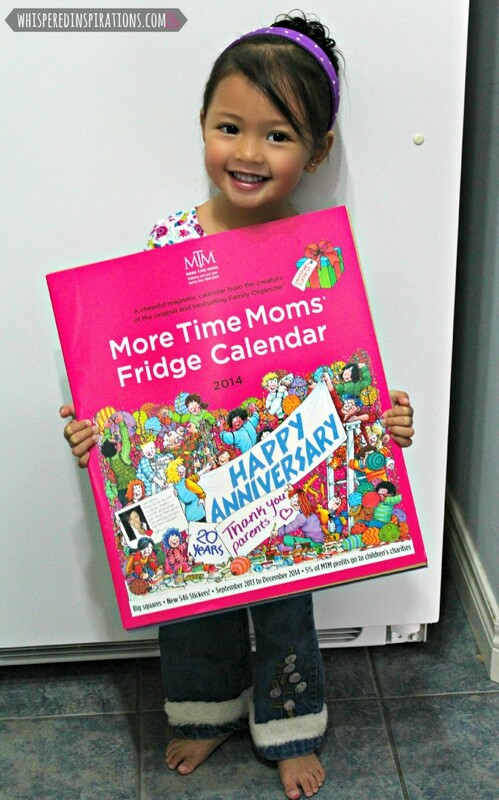 Would love to try the fridge calendar we have a small one we put on the fridge for everyone to see but it is not big enough and get too messy too quick! I would love the Fridge List. Would have loved this calendar! It's just what I need to keep track of everything – thanks for the review.